Wedding day is the special day for every women and it is obvious that every women wants to look gorgeous on this B’day. Though brides have always been the centre of attention in wedding so quite obviously she is more concerned about what she is going to wear. Some brides opt for traditional styles, others opt for traditional and few they like wearing simple gowns. Nowadays women are more specific for wedding dresses. The to be brides are so much concerned about their wedding dresses and spends huge amount of money on it, not only ordinary people but celebrities too spend lot of money on their outfits. Wedding dress not only simplifies your beauty but dictates about your way of style. There are ample amount of wedding dresses which you can see in the market as well as on internet. There are number of well-known designers in the market who designs excellent creation for special occasions. Most of the well-known designers designs beautiful and expensive wedding dresses that celebrities can afford while it’s a dream for an ordinary girl. 1. 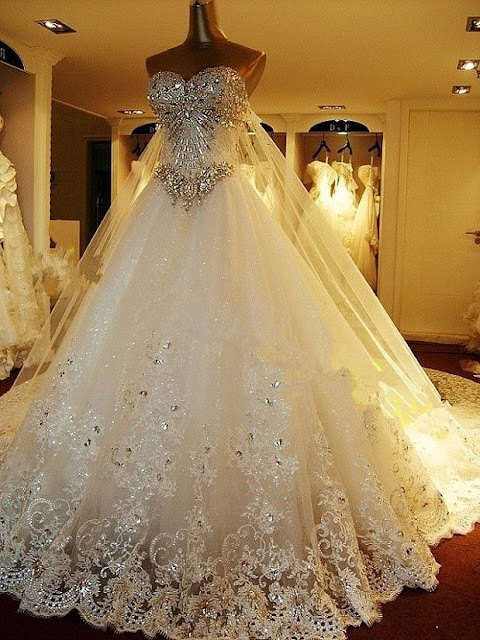 The Diamond Wedding Dress: It is the most expensive one designed in 2006 with 150 carats diamonds in it and range around $12million. 2. Platinum Wedding Dress: Designed by Mauro Adami, china based designer. The fabric is sewn with platinum thread that gives a very metallic look. This dress costs around $372,564. It is the most expensive dress all around world. 3. Vera Wang Peacock Gown: It took around 2 months for the designers to finish up with this gown. 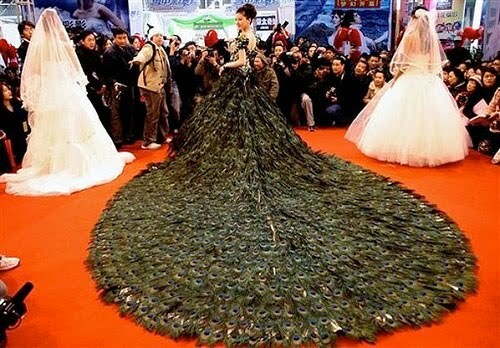 This dress was made up with 2009 male peacock feathers with price of $1.5 million. The dress looks elegant and stylish. 4. 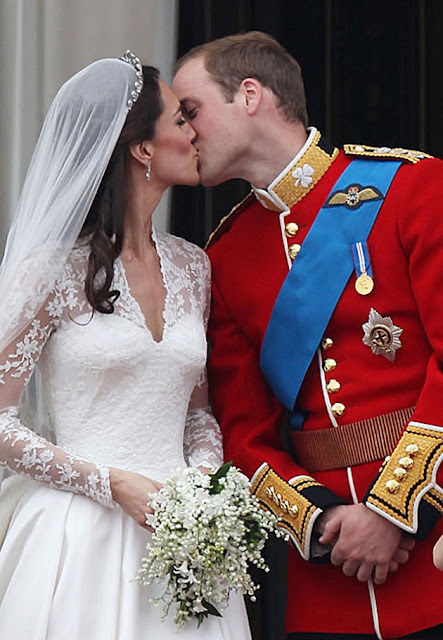 Kate Middleton’s Wedding Dress: It’s a dream of every girl to look as pretty as princess of England. Kate middleton’s dress used the most expensive fabric, english cluny lace and ivory, designed by Sarah Burton and is of $388,088. 5. White Gold Diamond Dress: Yum Katsura, the Japanese designer, designed this dress with white gold, silk and satin. The dress has total 5 carat white gold diamonds and 8.8 carat green diamonds that costs for $8.5 million.